Dynamo Kyiv has under 2.5 goals in their last 4 games in all competitions. Dinamo Zagreb scored in last 9 games in all competitions. Videoton has under 2.5 goals in their last 5 home games in all competitions. Ajax scored in last 4 games in all competitions. AEK Athens scored in last 3 games in all competitions. Dynamo Kyiv scored in last 3 away games in all competitions. Dinamo Zagreb won their last 4 games in all competitions. Dinamo Zagreb scored in last 3 away games in all competitions. Dynamo Kyiv scored in last 5 games in all competitions. Young Boys scored in last 4 games in all competitions. AEK Athens has under 2.5 goals in their last 5 away games in all competitions. AEK Athens ended draw their last 3 away games in all competitions. Videoton ended draw their last 5 home games in all competitions. Dynamo Kyiv allowed opponents to score over 1.5 goals in last 6 away games in all competitions. Aston Villa has under 2.5 goals in their last 3 games in Championship. Birmingham City has under 2.5 goals in their last 5 games in Championship. Blackburn Rovers won their last 3 games in Championship. Reading allowed opponents to score over 1.5 goals in last 4 games in Championship. Aston Villa won their last 4 home games in Championship. Birmingham City has under 2.5 goals in their last 3 away games in Championship. Aston Villa scored in last 12 games in Championship. Norwich City won their last 3 games in Championship. Wigan Athletic has over 2.5 goals in their last 5 games in Championship. Norwich City has over 2.5 goals in their last 3 home games in Championship. Preston North End has over 2.5 goals in their last 3 games in Championship. Wigan AthleticWigan Athletic has over 2.5 goals in their last 4 away games in Championship. Norwich City has over 2.5 goals in their last 4 games in Championship. Wigan AthleticWigan Athletic lost their last 4 away games in Championship. Reading has under 2.5 goals in their last 4 games in Championship. Blackburn Rovers has under 2.5 goals in their last 3 home games in Championship. Aston Villa scored in last 13 home games in Championship. Birmingham City lost their last 3 away games in Championship. Bolton scored in last 6 games in Championship. Birmingham City didn’t score in last 3 away games in Championship. Blackburn Rovers scored in last 3 games in Championship. Gillingham scored in last 6 games in League One. Scunthorpe United has over 2.5 goals in their last 3 games in League One. Fleetwood Town has under 2.5 goals in their last 3 away games in League One. Scunthorpe United lost their last 3 games in League One. Fleetwood Town ended draw their last 3 games in League One. Scunthorpe United scored in last 3 home games in League One. Gillingham lost their last 3 games in League One. Vila Nova has under 2.5 goals in their last 6 away games in Serie B (Brazil). 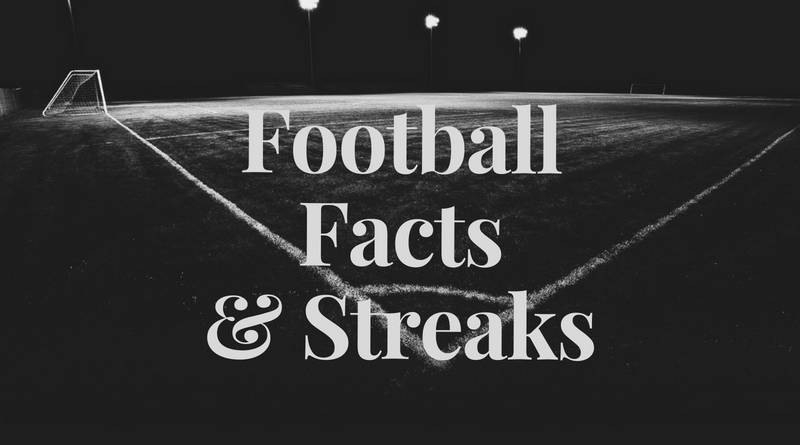 Vila Nova allowed opponents to score over 1.5 goals in last 14 away games in Serie B (Brazil). Oeste has under 2.5 goals in their last 4 games in Serie B (Brazil). Oeste ended draw their last 3 home games in Serie B (Brazil). Oeste allowed opponents to score over 1.5 goals in last 4 games in Serie B (Brazil).